Register Log In AmbergrisCaye.com Home Forums Environment Can Sustainable Tourism Thrive in Belize? Two weeks ago, I attended the 28th Annual General Meeting of the Belize Tourism Industry Association (BTIA) in Belize City. The BTIA is the largest tourism association in Belize with over 25 years of membership commitment and is the voice of tourism related concerns. "Tourism Business and Sustainable Development" was the theme of the general meeting and the special guest speaker at the event was Dr Kenrick Leslie, a world-renowned scientist on climate change who spoke about the intricacies and challenges of climate change in the tourism industry and why the BTIA has to play an instrumental role in leading an effective sustainable tourism movement in Belize. After the meeting was over, I met with Mike Green who is a sustainable tourism consultant and independent Green Globe auditor to talk about sustainable tourism and the rise of green certification in Belize. Please tell me about yourself and your work in the tourism industry in Belize. I have worked in the tourism industry here in Belize for the past 23 years, in both resort management and tour operations and now as a sustainable tourism consultant and certification auditor. Sustainable tourism in its purest sense is an industry which attempts to make a low impact on the environment and local culture, while helping to generate income, employment, and the conservation of local ecosystems. It is responsible tourism that is both ecologically and culturally sensitive. Thus, Sustainable tourism activities have minimal impact on the environment and culture of the host community. How satisfied are you about the progress of sustainable tourism in Belize? Belize has come a long way over the past 20 years yet we still have a long way to go. We are blessed with an abundance of natural resources as well as phenomenal cultural and natural attractions. My concerns lie with whether or not our governmental agencies actually recognize these facts and the monumental importance of sustainably utilizing our resources for current benefit yet still conserving them for the enrichment of future generations. What makes Belize tourism industry vulnerable to environmental changes? Belize is a subtropical country with rather low lying topography. Climate change as the result of global warming has been scientifically predicted to result in the rise of the oceanic water levels. Just a matter of a few inches rise will have devastating effect on our coastline which facilitates a large portion of our tourism industry. Maybe you should think of buying land around Belmopan for future beachfront development! How can visitors and local tour operators act to mitigate the impacts of economic, environmental and social changes in the tourism industry of Belize? Industry stakeholders must become involved with the formation of realistic long term plans to address these issues. We must all look forward while insisting that our political leaders and governmental agencies act responsibly today with true science based methodology aimed at the long term protection and conservation of our natural resources and our industry and thusly the wellbeing of our nation. What advice do you have for tourism stakeholders in Belize who are interested in becoming Green Globe certified? One of the most critical elements of becoming an environmentally friendly hotel is the adoption of a new third-party verified culture that extends throughout the hotel organization, and between the hotel and its guest, local community, and even its vendors. We call this an Environmental Management System (EMS) and refers to the management of an organization's environmental programs in a comprehensive, systematic, planned and documented manner. It includes the organizational structure, planning and resources for developing, implementing and maintaining policy for environmental protection. Hotels that effectively incorporate an EMS into their organization reap many benefits. On average, certified hotels achieve 11 percent savings in operational costs, experience a 38 percent improvement in employee retention, and a three percent increase in their overall property value. There is an enormous demand for third-party verified sustainability within the travel industry. Patrons seeking assurances they are supporting an operation that protects the environment represent a growing sector in the tourism marketplace. A third-party verified EMS enhances the hotel's image and opens opportunities to attract environmentally conscious consumers. Furthermore, an EMS is becoming a requirement for many business relationships as more companies demand that their suppliers and clients meet their standards. A viable EMS can also be used as a one-stop document sent to wholesalers, travel agents and interested persons that might have queries about your systems, procedures or claims to be a "green" business. Green Globe is the accepted standard for sustainability certification worldwide providing services in 94 countries while covering all sectors of the hospitality, travel and tourism industry as well as all components of sustainability including environmental, social responsibility and economic viability. Green Globe Certification is ISO compliant (FAA, FDA) with 41 criteria and 337 continuously updated indicators that are all verified by independent third-party auditors. How is sustainability perceived in Belize? Now that is a good question. I would venture to say that here in Belize it is more perceived as "survival." A large percentage of our tourism businesses are small "Mom & Pop" operations who struggle on a daily basis to make ends meet. This in turn makes it difficult for them to invest in long term sustainability programs even though these same programs could result in substantial savings over time and help to insure their financial survival. This is exactly why our industry leaders and government agencies must act with honest and sincere aforethought today. If you were to choose one of the Belizean resorts that you have certified as a best case, which one would it be and why? We are truly fortunate to have several world leading examples of sustainable tourism right here in Belize. One cannot speak on the subject without acknowledging the inspiring efforts of Hamanasi Adventure and Dive Resort, Hidden Valley Inn or Xanadu Island. All of which are Green Globe Certified. But to answer your question, I must shine the spotlight on Belize's newest member of the Green Globe Certified family, Turneffe Flats. Just last October I completed their certification audit and am very pleased to announce that they sailed through with flying colors and an overall score of 90 percent. They should be highly commended for their efforts and put forth as a true example of environmentally conscientious and sustainable tourism. How satisfied are you with the content, level and quality of tourism education in Belize? I must say that I feel that it is improving immensely. Tourism being our largest industry and largest employer will require more and more qualified employees. The industry is producing golden opportunities for our youth as well as enormous benefits to all of the support industries and suppliers. List five ways how the BTIA can lead the sustainable tourism movement in Belize? 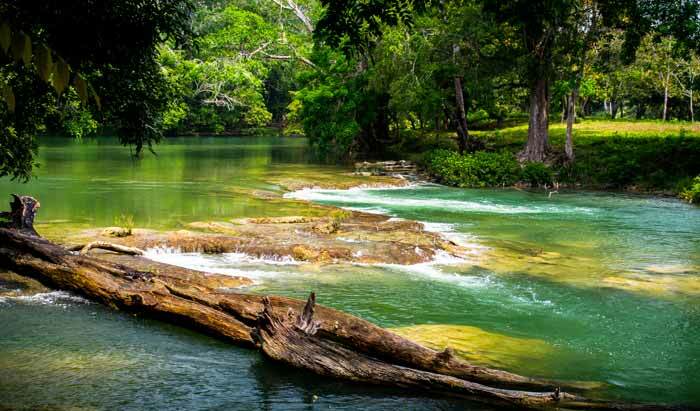 BTIA should embrace sustainable certification to its fullest and continue to lobby the Belize government to honestly follow the guidelines set out in the Tourism Master Plan. As I have stated before, there is an enormous demand worldwide for third-party verified sustainable tourism destinations and products. With sincere and sustained effort, Belize could be a world leader in this field. We should lead the way and take every advantage of our natural assets to sustainably advance the economic welfare of our country and its people. This is all very commendable and I hope the BTIA pay close attention. Being conscious of the environmental impact of increasing tourism seems to be directly opposite, however, to the BTIA's recent demands that all guest houses in Belize must now use white sheets and white towels. As one of many guesthouses catering to tourists, we try to be as 'green' as possible. We use rain water and well-water and purchased highly coloured cotton sheets for guests so bleach would never be needed (we have not used bleach in our laundry for over twenty years), and wear and tear, stains and aging would not show. Recently we were told we must discard all our colourful bedding for white sheets, pillowcases, towels etc. which will require constant and regular use of bleach. How does this fit into environmental awareness with regards to tourism? If all guest houses and hotels now have to use bleach (on top of the other environmentally unfriendly cleaning products I see being used), I can't imagine the increase of stress on the environment this will cause. We also designed our house with high ceilings and plenty of windows (17 on the top floor alone) to take advantage of the Belizean tropical winds so that no A/C would be required. Tourists often request A/C and I don't blame them when so many guest houses and hotels are built like little boxes with no breezes to speak of. I also cringe every time I have to throw out a plastic bottle or wrapping and paper products knowing there is no recyclable program where we are, if any in Belize at all, and this needs to change, particularly now with the increase of tourism. If recycling plans were implemented, actual 'garbage' should and could be minimal to none. 0 registered members (), 232 guests, and 5 spiders.